To C stick, or not to C stick? If you're as excited as we are for the upcoming Super Smash Bros. 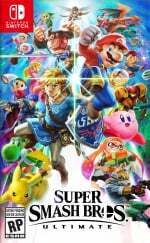 Ultimate, you're probably already thinking about the glorious day on which you can finally get stuck into the game this December. If you just so happen to be a fan of the classic GameCube controller, too, then these could well be the perfect choice for you. We actually first reported on this set of controllers back in July, when video game accessory maker PDP first teased its upcoming release. Now, though, each of the three designs are available for pre-order, and we've got all the links and information you need down below. 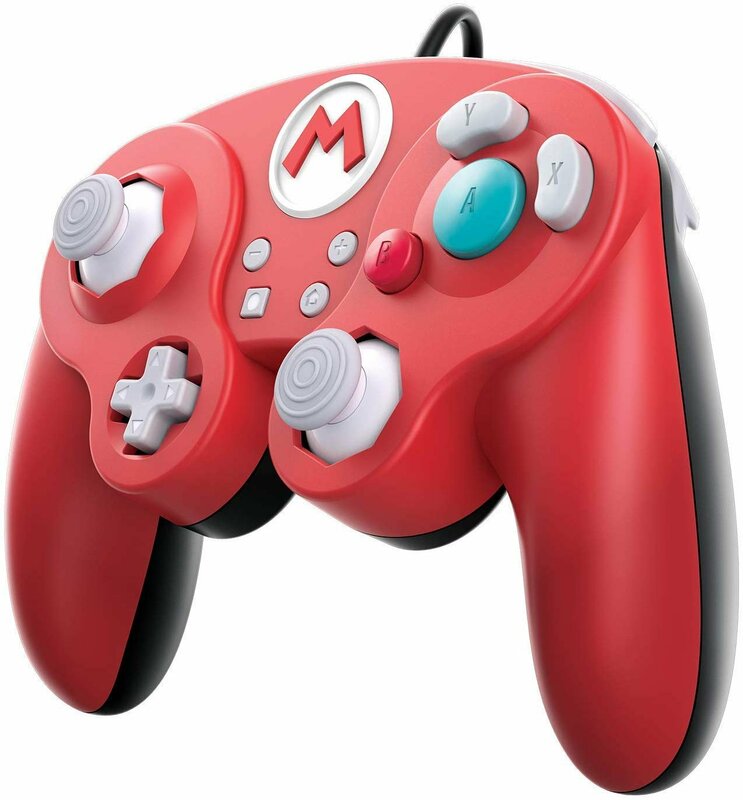 As you can see, you can choose from three different designs featuring Mario, Zelda, and Pokémon, and each controller has the option to either use a traditional control stick on the right-hand side or the GameCube's famous 'C' stick. The controllers also come with a 10 foot USB cable - a good 3.5 feet longer than the original GameCube controller design - and are officially licensed by Nintendo. Each design is available for $24.99 and can be pre-ordered directly from PDP's site (due for release on 7th December alongside Super Smash Bros. Ultimate). Alternatively, each design is also available from Amazon US - Mario / Zelda / Pokémon - with international shipping available. Are you going to treat yourself to one of these? Let us know in the comments. 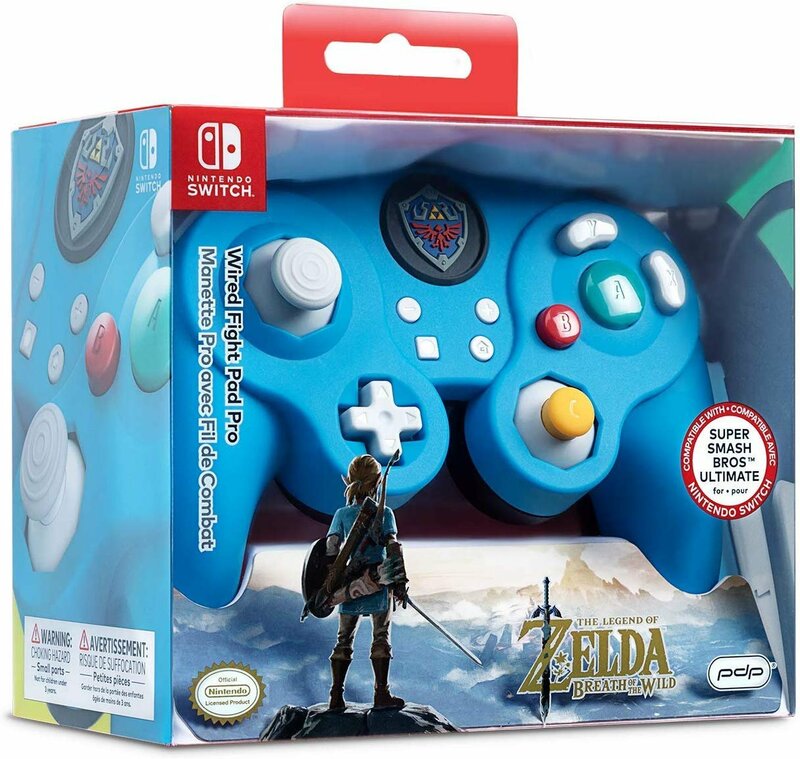 Not going to get one as I am getting the ultimate edition of smash bros that comes with a GC controller. Smash Bros fans really love that GC controller, huh? Is this really just for Smash? I find myself wishing this was somehow proof of GC games coming to Switch but I'm not about to start kidding myself. 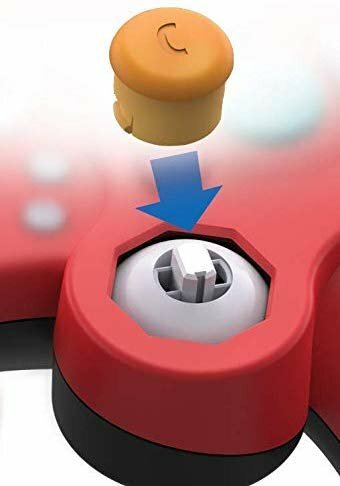 If Nintendo had continued with the A B X Y button layout of the Gamecube controllers and it had become standard (even just on their own consoles) then this would excite me a lot more. I do like the Gamecube controller a lot, but pretty much only for Gamecube games. @gcunit The smash bros ultimate edition comes with a GC controller (with the proper plug) and the controller adapter. So I assume that is what you want. 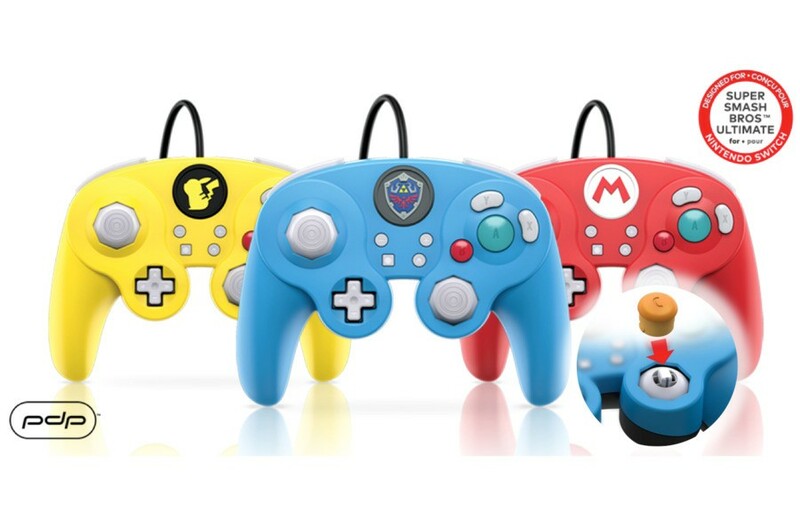 @Nintendofan83 These are wired USB pro controllers. I had a PDP gamecube style controller for Wii U. It just stopped working and this looks a similar build. The D pad looks like it's mushy much like that one. I like the interchanging of the C stick but too big a risk, I can't be bothered with another breakdown. Does it have clickable Sticks? @SuperGhirahim64 Heha, the sad fact of cheap 3rd party alternative. They look cool and feel nice, but break down more easily. 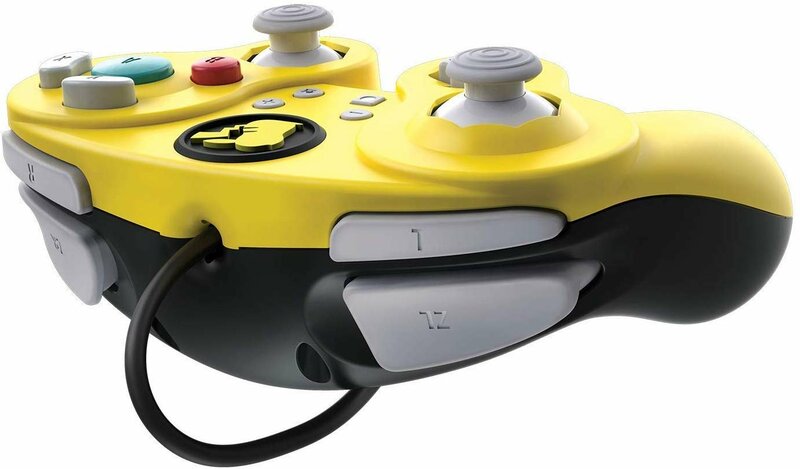 Do any of the gamecube controllers coming out support rumble? Looks cheap today and colors don´t fit my taste anymore. Will have a look at real Pro Controller- alternatives. Can there be used in Handheld/Tabletop modes? Or do they only work in the dock? 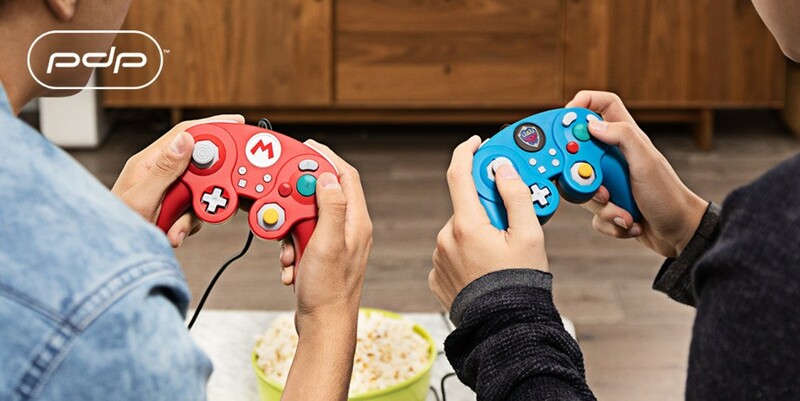 i am disappointed that these have a USB connector instead of the older GameCube controller connector. Nintendo released a GameCube controller adapter for the Wii U that works with the Nintendo Switch and now it seems as though Nintendo and the others want us to forget about the accessory. Don't tell me this is only for Smash? Nintendo needs to make a wavebird 2 and stop licensing these offbrand toys. I was kinda disappointed with my Wii U PDP battle pad due to the radically different mold used from a standard GC controller. Much more beefy and the official one feels better every time. I'll pass on this one.